Parkinson’s disease (PD) and essential tremor (ET) are both movement disorders, with essential tremor being about eight times more common than Parkinson’s disease. 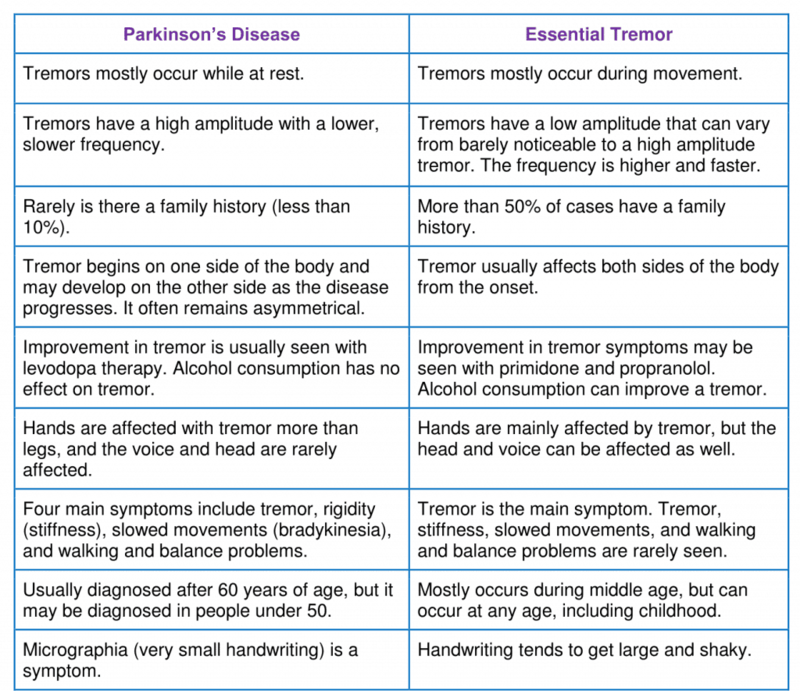 Although they are similar disorders, there are many differences between Parkinson’s disease and essential tremor. One of the main symptoms of PD and ET are tremors, an involuntary and rhythmic shaking. This similarity can cause a healthcare professional to mistakenly diagnose one of these disorders for the other. Therefore, knowing the differences between Parkinson’s disease and essential tremor is critical to providing the correct diagnosis and treatment. Once a physician has narrowed the diagnosis down to Parkinson’s and essential tremor, he or she may choose to perform a DaTscan in order to distinguish between the two disorders. The ICD-10-CM codes for Parkinson’s disease and essential tremor are located in Chapter 6. Diseases of the nervous system (G00-G99) of the ICD-10-CM coding manual and in the Extrapyramidal and movement disorders subsection (G20-G26). There are notations, inclusions, and exclusions that you need to review before selecting the specific code. These notes are critical to accurate coding. For example, there is an Excludes1 note at G20 that indicates if the patient has dementia with Parkinsonism, G20 may not be assigned. Instead, G31.83 should be reported. There is an Excludes1 note that indicates tremor NOS should be reported with R25.1 and not G25.0. Therefore, if the type of tremor is unspecified, R25.1 should be assigned rather than G25.0. An Excludes2 note is listed to indicate if the patient has a sleep-related movement disorder, G47.6- should be reported in addition to G25.0 for essential tremor. Also, be sure and look at the additional Excludes2 note at the beginning of the G00-G99 code range (as listed above) in case any additional conditions from that list need to be reported. 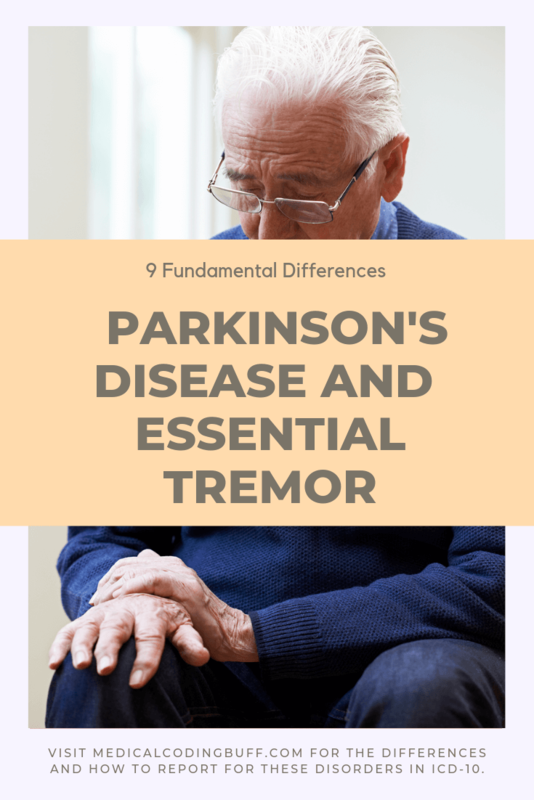 Both Parkinson’s disease and essential tremor are movement disorders that are characterized by tremors that affect many of the same areas of the body. However, they have many differences, and their treatment is completely different. Making an accurate diagnosis is critical, so the patient can receive the right treatment as quickly as possible. If needed, a DaTscan can help differentiate between the two disorders. 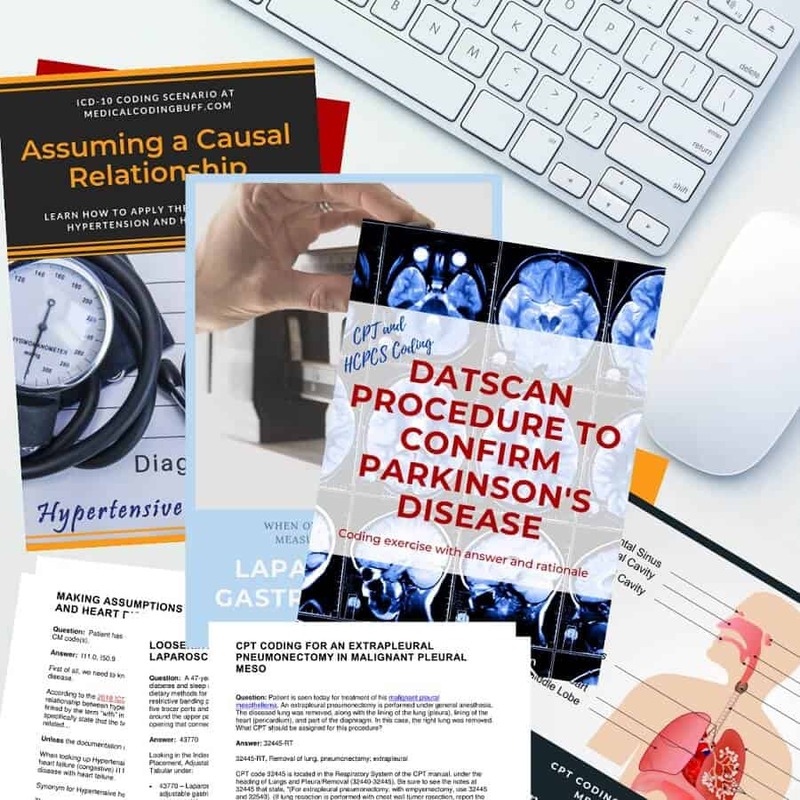 Want to try your skill with a medical coding exercise related to a DaTscan procedure to confirm Parkinson’s disease? Just subscribe to my emails/newsletters and get FREE access to my Resources page. You will not only find the coding exercise on the DaTscan procedure but also many other coding exercises with the answers and rationales. And more are always being added. Complete the form below and hit the “Subscribe” button. Once you have signed up, I’ll send you the password for your top-secret access to my Resources page. And if you found this article helpful, please be sure to share one of the images above with your friends on Pinterest, so they can benefit from it as well.